One of the things I talk about in my paper on jurisprudence at Washington College in the pre-Civil War years is the shift from attitudes against slavery towards those in favor. This happens around 1848. Henry Ruffner, who was Washington College's president at the time, gave an anti-slavery speech in Lexington in 1847 that drew substantial support, but also raised substantial controversy. Ruffner -- who was really more of what we'd think of as an economist these days -- was already a somewhat controversial figure on campus; and in fact some trustees had opposed his appointment as president back in 1837. That also mixed with religious controversy in Lexington, and so Ruffner resigned and went back to his family's salt business. Right now, however, I want to talk about one of the first graduation addresses given after Junkin became president -- by John Rueben Thompson, in June 1850. 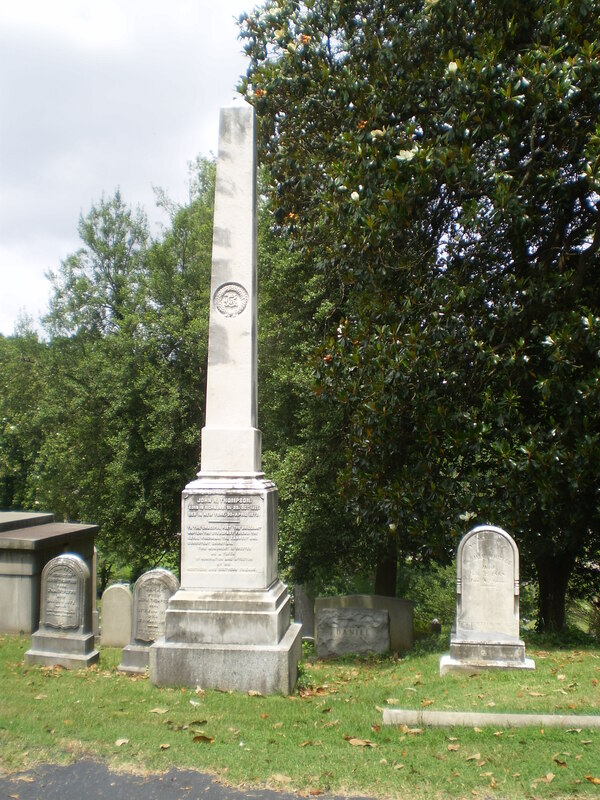 Thompson (who is buried in Hollywood Cemetery in Richmond) was a key figure in southern intellectual life at the time because he was the editor of the Southern Literary Messenger. And when he came to give the graduation address at Washington College in 1850 he spoke about the prospects of literature in Virginia -- a topic on which he had substantial expertise and interest, obviously. Fanaticism in all its forms, but worst of all in that fell shape of modern abolition, which, with impious tread, has dared to confront the presence of the Divine Majesty itself and mock at its revelation, stalks abroad through the land. Its pestilent doctrines are sent among us through every conduit, and our utmost vigilance is necessary for self-preservation. Among all its agencies, there is none so active or so potent as the press; and no man can deny that the entire Northern press is anti-slavery in its tone and spirit. He went on to talk about the importance of southern literature to the defense of slavery. Thompson argued for a southern literature. This had some obvious self-interest given his role in publishing southern literature. But it was also a theme much-discussed in the South at this point -- how might Southerners turn public opinion in favor of slavery (or at least less against it). It cannot be denied, I think, that there exists at this time a peculiar necessity for a home literature, and by this I mean a literature adapted to the institutions by which we find ourselves surrounded, and to the general framework of our society. Fanaticism in all its forms, but worst of all in that fell shape of modern abolition, which, with impious tread, has dared to confront the presence of the Divine Majesty itself and mock at its revelation, stalks abroad through the land. Its pestilent doctrines are sent among us through every conduit, and our utmost vigilance is necessary for self-preservation. Among all its agencies, there is none so active or so potent as the press; and no man can deny that the entire Northern press is anti-slavery in its tone and spirit. The political journalists may, indeed, observe a show of neutrality, such of them (perhaps half a dozen,) as are not avowedly hostile to Southern interests upon party issues; but the literary and religious papers, with few exceptions, are tinged with the fanatical blue, relying, as they do, in great part, on Southern patronage for support. Now, is it not humiliating to the Southern character that all our reading should be drawn from such a source as this? There is but one way to counteract this influence, and this is by a literature of our own, informed with the conservative spirit, the love of order and justice, that constitutes the most striking characteristic of the Southern mind. In such an enterprise, worthy of the best efforts that we can make, Virginia is impelled to take the lead, as well by every consideration of pride and self-interest, as by the thronging recollections of the past. And soon I'll be talking about some more of that southern literature -- oratory is the center of my focus in this paper -- that was produced in the 1850s next door to Washington College, at VMI. Though my next couple of posts are going to be about intellectual life in Lexington (WC and VMI) in the 1850s, when attitudes were more proslavery. One key issue here is that the turn to proslavery thought was later in Lexington than in many other places -- and it was more moderate at WC than at the vast majority of schools in the south at the time.